I have this theory about money. I must have read it somewhere sometime. 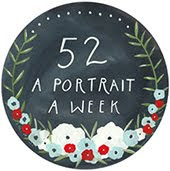 This weekend I went to Renegade craft fair and I put my theory into practice. Right, so yes, I had a bit of a spending spree, but I feel entirely justified as I was buying directly from designers and makers, so really I was just supporting some very talented people right?... and there were a lot of very talented people with some beautiful wares to sell. I was tempted by so much - some of which I've noted down to buy later, but anyway, enough justification - here is my loot. 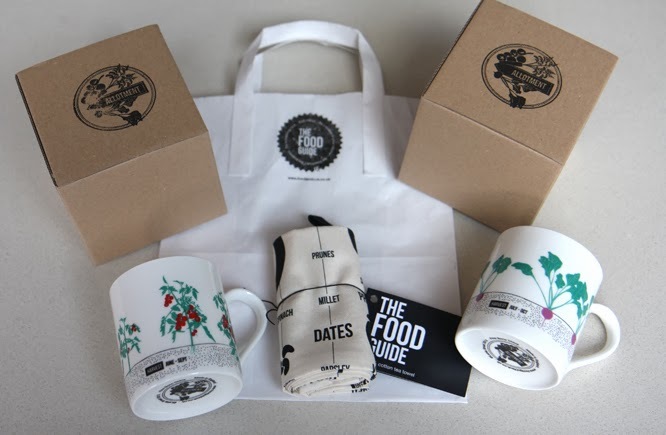 Two mugs and a tea towel (so many good tea towels around, think I'm going to turn into a tea towel collector) from The Food Guide the tea towel shows examples of foods that are rich in certain vitamins and minerals (Emily took a photo of it for her blog too - here). 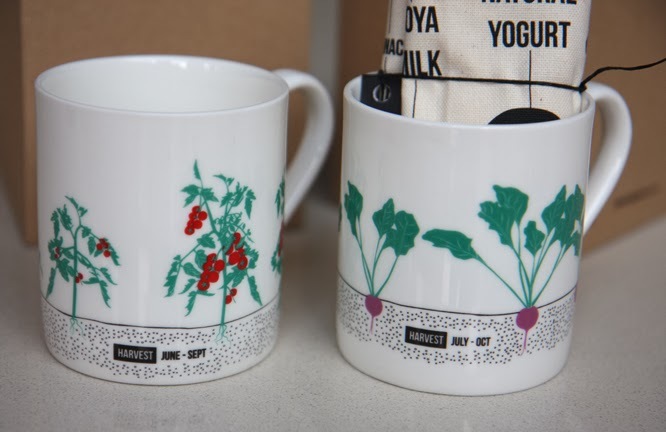 Beetroot and tomato growing season mugs. Coco wants us to keep these... she might be able to convince me. 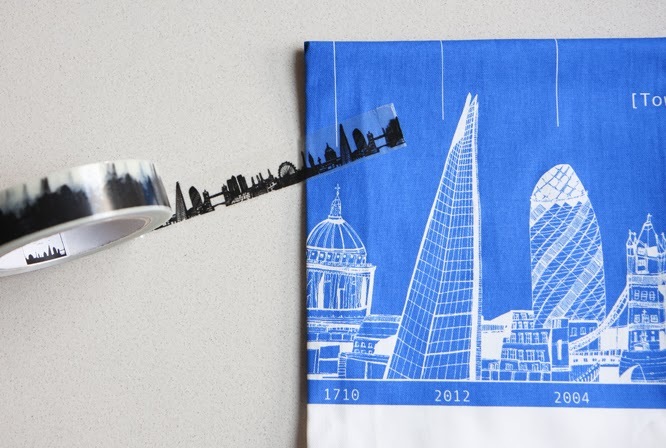 Another tea towel with a vaguely educational stance - this time showing some high lights of the London skyline... and also some Skyline tape, I just couldn't say no to that. Both by Cecily Vessey. 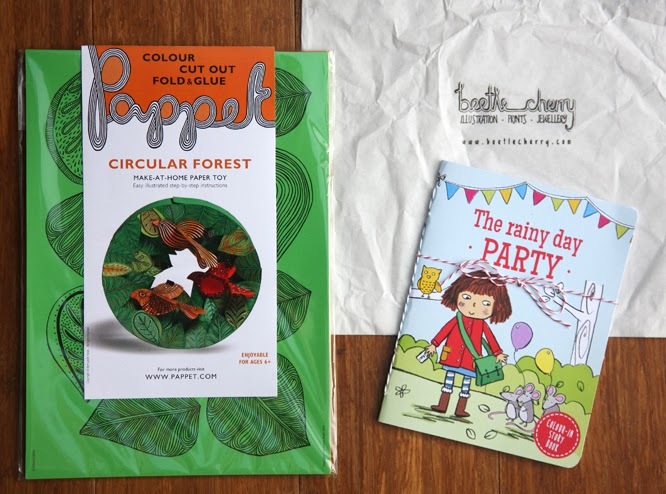 A couple of things for Coco's birthday next week (or maybe stocking...) A very sweet little colour-in story book by Beetle Cherry and something which I think Coco might enjoy - a make at home paper toy by Pappet. Finally - I bought myself a porcelain 'diamond' ring from Moko. A slightly spontaneous purchase, but one I'm very pleased with. 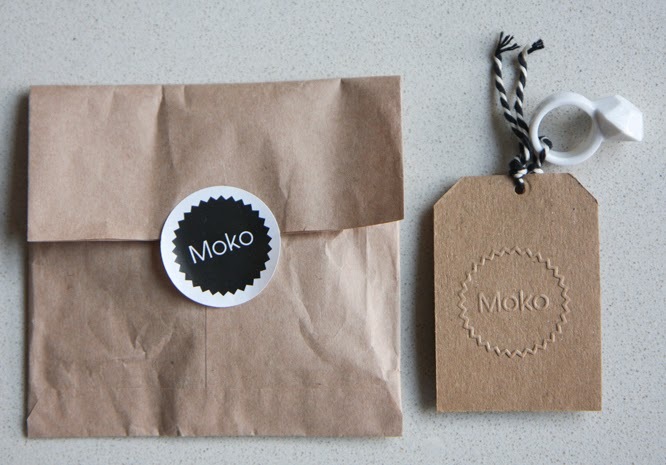 And look at that packaging, brown embossed card and black and white string - beautiful simplicity. I also have quite a haul of buisness cards to remind me of all the things I didn't buy. Next time. *you know I have my tongue in my cheek right?